Every day, you perform actions based on routine instead of deliberate decisions. Habits spare you from spending too much time and energy on daily, mundane tasks. Good habits like healthy eating and regular exercise have positive effects on your life. But bad habits like overeating junk food and watching too much TV don’t serve you well. Breaking bad habits takes more than strong self-control or sheer willpower. 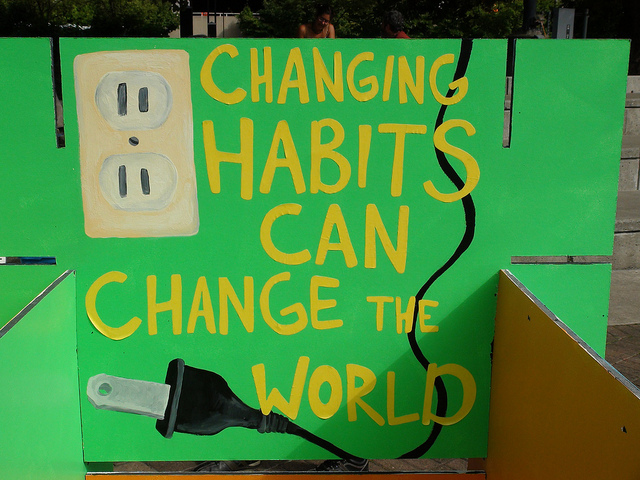 Changing a habit requires that you understand how it is formed in the first place. In The Power of Habit: Why We Do What We Do in Life and Business, Charles Duhigg explains that every habit starts with a neurological loop of three parts: First, there’s the cue or trigger that causes a behavior to unfold automatically. This includes the time of day, your emotional state, your location, or the people around you. Next is the routine or the behavior itself. Third is the reward that satisfies a certain craving. The reward is something your brain remembers and likes. You repeat the behavior because you want to receive the reward again. Observe your current habits. Although your behavior might have started out as a deliberate choice, it gets easier to overlook once it becomes routine. The first step is to notice your routine and the cue that triggers it. One habit I’d like to break is having late lunches, after 2 p.m., on work days. The main trigger is telephone calls from clients streaming in during lunch time. I normally postpone lunch to take the calls. The reward I get is feeling a sense of satisfaction for being responsive to clients. At first, my delaying lunch after 2 p.m. was a conscious choice. But now that I have identified it as a bad habit, I can take steps to replace it with a new routine. Find out what really drives your routine. Duhigg recommends that you tweak your routine so it provides a different reward. For example, instead of taking the elevator down to the cafeteria to buy a cookie, go outside and walk around the block, or buy an apple. Do you just need to stretch your legs? (A walk around the block is enough.) Are you just hungry? (An apple will suffice). Experimenting with the rewards helps you discover which cravings fuel your behavior. In my case, the telephone calls streaming in during lunch time could be my cue to break from work. I could let the calls go to voice mail and respond to my messages shortly after I return from lunch. Most likely, I would discover that my new routine allows me to timely respond to calls just as well, if not better (because then I’d be refreshed and not hungry). By tweaking my routine, I could begin to create a new habit. Have an action plan. Know the specific steps you will take to reshape your bad habits. Replace them with new habits that provide similar rewards and satisfy old cravings. Set a realistic goal. Then break down the goal into manageable, mini-steps that you can choose to do until they become part of your new routine. For example, if you want to start exercising at the gym, pack your gym bag the night before or have a friend who works out meet you there. After you complete the action, treat yourself to something you really like or enjoy. This will reinforce the behavior and encourage your neurology to accept the pattern. Changing a habit involves incremental progress. Celebrate the small wins to keep your momentum going. Intentionally practice your new behavior, perhaps at scheduled times, to allow it to become automatic as fast as possible. The more quickly a new behavior turns into a routine, the less you have to rely on self-control and willpower to drop the old habit.